Tree trimming is a job that is not everybody’s cup of tea. It does not necessarily require a professional to do it, but professionalism should be portrayed after the work. Even as DIY continues to trend for menial jobs, it is recommended that for harnessed landscaping, you should hire professional tree trimming Los Angeles. Trees form a crucial part of landscape. They add to the natural beauty in a home, making the compound comfy, cozy, and healthy. However, outgrown trees can disturb the cozy look that you would desire for your compound, necessitating trimming services. If you are in Los Angeles and you need tree trimming services, then look no further, your way tree service inc. is the better choice. The company has been in the tree trimming industry for over ten years. Given on this period of service in Los Angeles area, the technical staff of the company has gained the necessary experienced required to successfully and safely trim any tree. Tree trimming is dependent on experience more than skill. While some technical knowledge is required especially on how to operate the machines and go about the tree trimming work, experience is required to trim different trees for improved landscape, depending on weather conditions, and how to handle tricky situations like trees near houses. 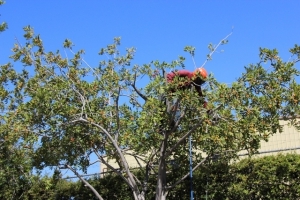 Given the ten years of service in Los Angeles, your way tree services technical staff members have the experience required to get the job done satisfactorily. Tree trimming can be a risky business. There are several risks involved among them the risk of falling and damage to property. To guard against this, the company uses the right equipments for the job and has their technical staff well trained. However, because sometime some cases might get out of hand, the company is licensed and insured. Being licensed means the company offers the right tree trimming services as set by the state government. On the other hand, an insurance cover means in case of any work place injury, damage of property, among other work-related issues, then you the customer will be absorbed off the costs involved. One of the things that your way tree services Inc. guarantee when trimming your trees is value for your money. We will agree that tree trimming can be an expense, because there are no quantifiable returns. However, you can experience the value for your money in the work done by your way tree services Inc. briefly said, you got to experience it to know it!